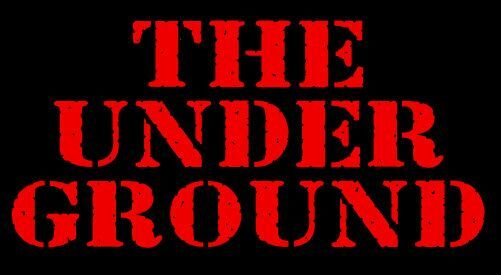 The Underground is our recurring feature, resurrected from an all-time great CHUD column, the aim of which is to get the word out on projects outside the Hollywood studio system. Studio films have big promotion engines behind them. The Underground caters to everything else: from indie films, to cult films in the making, pet projects, guerrilla films, internet shorts, etc. According to The Punk Singer’s director Sini Anderson, feminism and punk rock pioneer Kathleen Hanna, who started the seminal bands in the genre, Bikini Kill and Le Tigre, had been looking to get a documentary made about the latter band, titled Who Took the Bomp? That initial desire eventually turned into this all-encompassing film about Hanna herself, the first time she’s told her story at length. Hanna made herself available for a copious amount of interviews; and many in her circle also lent their testimonies, including husband and Beastie Boys musician, Adam “Ad-Rock” Horovitz, Le Tigre bandmates Johanna Fateman and JD Samson, Bikini Kill bandmates Kathi Wilcox and Tobi Vail, musicians Kim Gordon, Corin Tucker, Carrie Brownstein, Joan Jett, Allison Wolfe, Lynn Breedlove and teenage Style Rookie fashion blogger, Tavi Gevinson among others. Along with those stories, there is archival footage that goes all the way back to the acorn for Hanna’s entire career, an emotional spoken word session in Olympia, WA in 1991, where she relays the details of a night of sexual abuse. Hanna tells that the reason she ended up in a band and not as a spoken word artist or something else was that she received guidance from feminist writer Kathy Acker, that if she had something she really wanted to say and be heard, the best way to do that was to be in a band, because no one listens to spoken word poetry. Punk Singer delves deeply into Hanna’s life and influences on the genre, which included the feminist zine Riot Grrl and its corresponding movement. It covers her motivations, controversies and career, which initially spanned from 1992 to when she stopped performing in 2005. It also addresses why she stopped, a topic that Hanna herself admits she had lied about for years but announces the reason for here. Both punk and Hanna enthusiasts should be all over Punk Singer. Hanna exposes herself in a way she never has, including an all too personal session filmed by her husband Horovitz during a very painful moment. Punk absolutely is not my taste in music, but I found Hanna to be a very interesting subject, with something meaningful to say, and very earnest in her saying of it. The film has little trouble going from the smallest details of her life, to how she influenced feminism and punk music on a national and even global scale. This is the first directorial effort for Sini Anderson, who has worked for over a decade as a producer and consultant on films such as Mango Kiss, By Hook or By Crook and Fumbling Towards Rock: The Miriam and Helen Story. She covers all the required rockumentary bases. Punk Singer is peppered throughout with Hanna’s music and there’s plenty of performance footage, spanning the earliest Bikini Kill days, to the Le Tigre era to a recent coming out party for her new endeavor, the band The Julie Ruin. 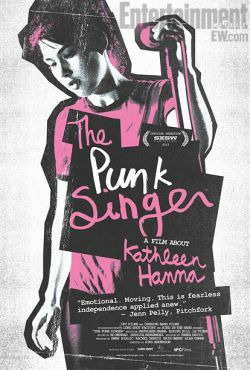 The Punk Singer is from IFC Films and opens on Friday, November 29 at the Cinefamily Theatre in Los Angeles, in New York and on IFC in video-on-demand platforms, with a national rollout to follow soon.